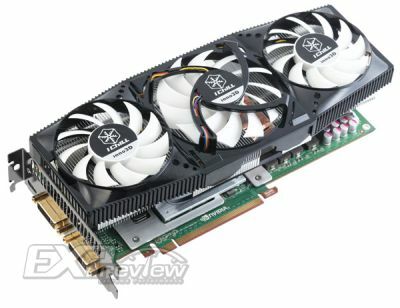 Expreview has tested Inno3D‘s GTX 470 iChill cooled by an Arctic Cooling VGA cooler. According to Inno3D, the GPU temperature in full stress mode is 20°C below the reference GTX 470 card. 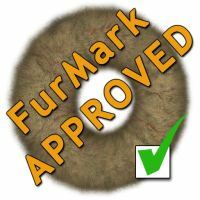 To verify this statement, FurMark has been used to fully load the GPU. – Memory speed: 850MHz real speed or 1700 DDR speed. Ref=837MHz real speed. As you can see, this GTX 470 is pre-overclocked. With default clocks (pre-overclocked) the GPU temp does not excedd 66°C. 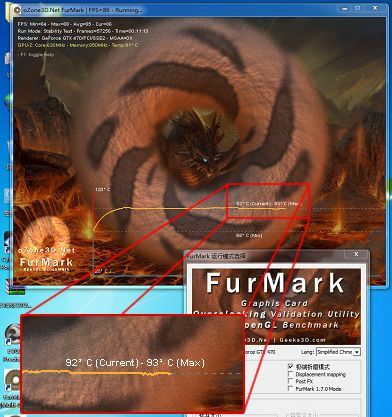 And with overclocked settings (GPU=750MHz, mem=900MHz), the GPU reaches 69°C. These temperature are really nice! 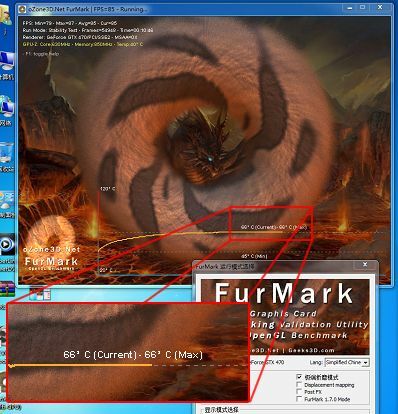 So even with overclocked settings, the GPU temperature is more than 20° below the ref GTX 470. 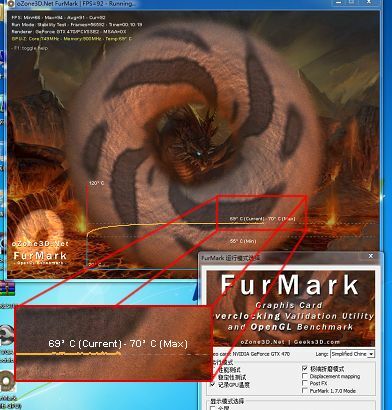 Non-Reference GALAXY GeForce GTX 470 and FurMark: Temperatures Are Under Control!